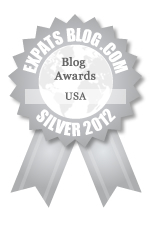 I’ve said it before, and I’ll say it again ‘ Don’t call me a trailing spouse!’ – not on your/my expat nelly! It makes me shudder, really it does! 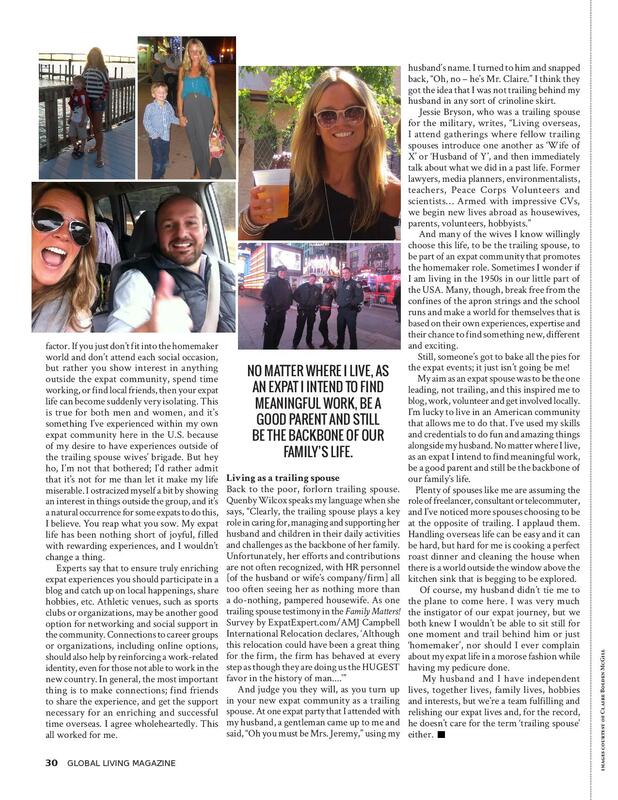 I dislike it so much that I just had to write an article about it for Global Living Magazine. Some folks don’t have a problem with the term ‘trailing spouse’ and I applaud them for that. 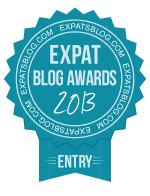 Each to their own in whatever expat capacity you may reside. However, my way to deal with this is to write a tongue in cheek article all about my view on the role of ‘trailing spouses’, both male and female! 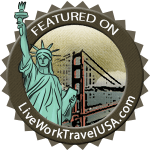 This entry was posted in American, British, expat life, expats, trailing spouses, Travel and tagged America, Americans, British, Culture, expat, expat life, expats, Global Living Magazine, hocoblogs@@@, trailing spouse, UK, USA. Bookmark the permalink. Great article. 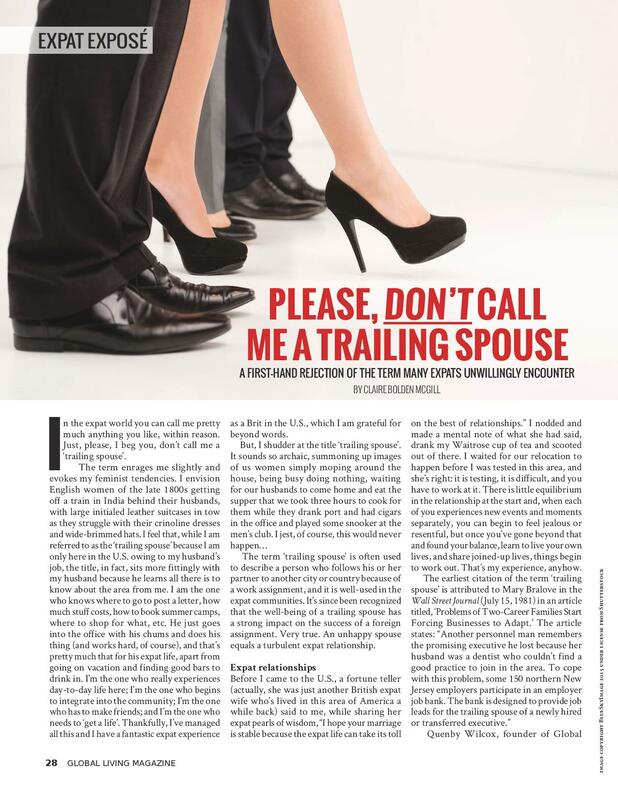 I’ve yet to be called a trailing spouse, but the term is so frustrating, as it was a joint decision and is a joint effort, not a leader/follower. Ha I went through this trying to name my book. 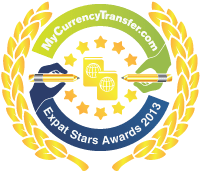 In the end I decided on Expat Partner as the term. But knowing that trailing spouse is still probably the most searched for term I still use it on my blog but try and hint it’s in an ironic way (probably unsuccessfully! ). …Great article. It’s the word “trailing” that’s so derogatory, isn’t it? Being dragged behind. Whereas, as you say, it’s usually the spouse who’s forging ahead, discovering the new location beyond the confines of the office walls. “Pioneering spouse” would be better. Or “Pioneering partner”. By rhyming association, “trailing spouse” always makes me visualise the Famous Grouse, which is quite apt, really. If the adverts are anything to go by, the bird looks a little out of place and awkward, but usually has some clever trick up its sleeve. I would think you had the harder job of it all by wearing so many hats.